Campus Life > Something For Everyone! 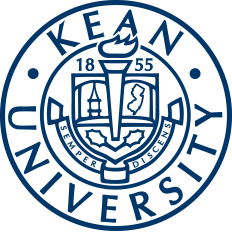 Kean University recognizes over 160 different clubs and organizations. These organizations are separated into the following eight categories: professional, service, cultural, recreational, religious, performance, governmental and special interest. All of the organizations are unique and have strong goals to better their community, themselves or personal skills. Professional clubs and organizations are based around majors and specific subject areas. They work towards promoting their subject and doing service and activities around their study. The students who choose to join these groups are usually in the major or have an interest in the study. Some of the majors that have clubs include: accounting, graphic design, biology, social work, psychology and more. Service organizations function with serving as their primary goal and objective. Each service organization serves a specific or wide range of causes. The Kean University service organizations are as follows: Catholic Newman Club, Council for Exceptional Children, Rotaract Action Club, Operation Smile, Project Alpha and Prosper Above The Hardships. Recreational and Special Interest organizations are formed based on interests and activities. These organizations offer students an environment of people with the same interests. Some of these clubs include Outdoor Adventure and Recreational Club, Blank Slate Literary Magazine and Equality for All. 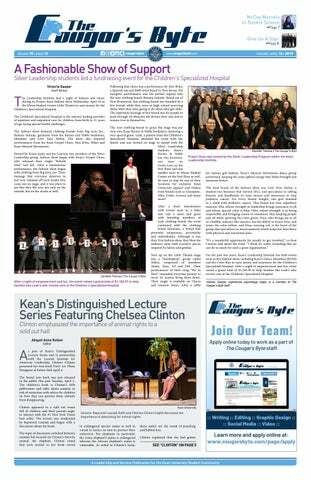 Performance organizations are centered around performing as a group at different Kean events. The performing organizations are Kean Dance Theatre, Kean Gospel Choir, Kean Musical Movements, Kean Top Knotch and Poetry Club. These clubs perform at their own events as well as partake in University events like Kean's Got Talent or sporting events. A full list of all Kean University clubs and organizations can be found on Cougar Link, the main resource for all involvement activities on campus. Cougar Link keeps track of individual student involvement activity such as the clubs and organizations they are involved in, the events they've attended, their community service hours and the forms they've completed. Through Cougar Link one can see all of the upcoming events and learn about the organizations on campus. Students interested in creating their own clubs on campus can do so by visiting the Involvement Center, located in the Miron Student Center, Room 303. When starting a new organization, the group should have at least 10 interested members, a president and secretary, a club constitution and a full-time faculty/staff adviser. For more information about the clubs and organizations on campus and how to start one, contact the Involvement Center located in the Miron Student Center, Room 303 by calling (908) 737-5270 or by visiting their website.